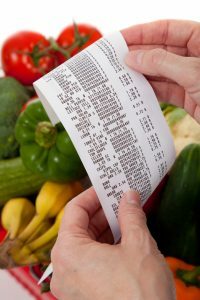 Your food budget can be a significant portion of your monthly allotted funds, and if not spent wisely it can really take away from other needed areas, or even worse, start racking up a credit call bill that you are not able to pay off. A way to add up huge savings is to stay out of the restaurants and actually prepare meals at home. Even as little as brewing your own coffee to take with you on the way to work can add up to savings over the course of a month. If you are looking to save a few extra bucks a month off your food budget, try a few tips. I always make comments to my wife when it comes to buying the pre-cut fruit, as it costs much more than buying a whole fruit, but time is money and some are difficult to cut, so you are paying for it, so try and do the work yourself. When it comes to packing your breakfast and lunch, avoid the single serving cereals and snacks, as the larger boxes/bags cost more but will go much longer. The old method of clipping coupons from the Sunday is still in full force as it ever was, but there nowadays there are plenty of other methods then to using scissors and finding the items you can save money. Digital coupons can be loaded to your shopper’s reward card and automatically taken off at the register, you will just have to remember which items to purchase, so may need to print out a list. If you have seen those crazy coupon reality shows you have seen entire basements filled with items, but you can still have your own stockpile without being too extreme. If you use an item regularly, it has significant savings, and will stay fresh, then there is no harm in purchasing the item and saving it for when you need it. Expensive items like frozen meats, cleaning supplies, and toiletries can be costly, so if you see on sale it may be a nice grab. Sure, we mentioned staying out of the restaurants and eating at home, but we also do not mean getting takeout, or buying prepared meals at the grocery store that still have the high markup. Buy actual ingredients and cook a meal on the stove, oven, or grill. Buy ingredients that will last as well, not just what you are using for that meal. Thoughtfully planning out all meals for the week is where you get more bang for your buck. I can’t tell you how often I’ve heard “we don’t have anything to eat, let’s go out”. It may take some creativity, but the truth it you probably have many more meals sitting in your freezer and pantry than you probably imagine. Try different ingredients together, but use what you have first and clear some space before you go shopping to stock up again.